Enter the name you’d like to personalize this pendant with. We will send a proof for approval within 48 hours of receiving your order. This personalized pendant features the silhouette of a dancer on a subtle pink lace background. Color changes are welcome. This is an original design by Ink & Dot Studio. 1) Upon checkout, make note of how you'd like the name to read on the pendant in the message to seller box. 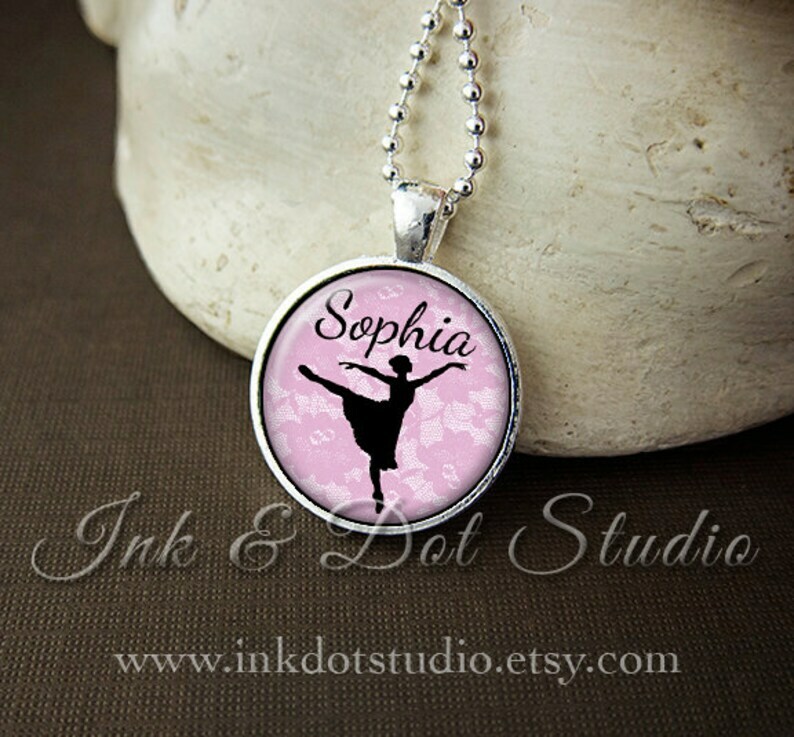 Back To School Personalized Gymnast Necklace, Gymnast Silhouette Pendant, Gymnastics Gift, Personalized Gymnast Gift, Choose Your Color!